You probably know someone, or perhaps that someone is you; someone who had mild symptoms that turned out to have been a heart attack. 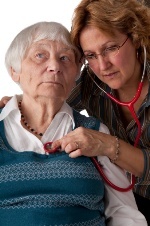 Unrecognized heart attacks are a serious issue and are linked to a higher risk of death. A new study in “JAMA” looked at the issue. What seems to be true is that there are more people without diabetes suffering heart attacks without knowing it than we might think. The new study was set in Iceland, with 936 people aged 67 to 93, 266 of whom had diabetes. PLUS: Heart attacks signal a dietary change is needed. They followed the patients for over six years. In that time, 30 of the 91 recognized-attack patients died (33%); 44 of the 157 unrecognized-attack patients died (28%). Meanwhile, only 17% of people without heart attacks died, showing the fatal nature of the problem at hand. The risk of death: if you have an unrecognized heart attack that is later uncovered by a cardiac magnetic resonance (CMR), you have an eight percent greater risk of death. We don’t say this to scare people; we say it to emphasize how careful you need to be with your health. The unrecognized group tended to take significantly less heart medications than the recognized group. Why are there so many unrecognized heart attacks? The researchers speculate that plaque “rupturing” in our arteries occurs frequently, which can lead to a heart attack. Also, symptoms can vary so much that it can cause patients and doctors to think something else was the cause. While heart attack symptoms can vary widely, common symptoms include: pressure in the center of your chest that lasts over a few minutes; pain in your chest that flows to your shoulder, arm, back or even jaw; increasing episodes of chest pain; prolonged pain in upper stomach; shortness of breath; sweating; a sense of doom; fainting; nausea; and vomiting. Women may feel different symptoms, such as: heartburn; clammy skin; lightheadedness; unexplained fatigue. The best health advice is to take no chance. If you suspect something, see a doctor right away.